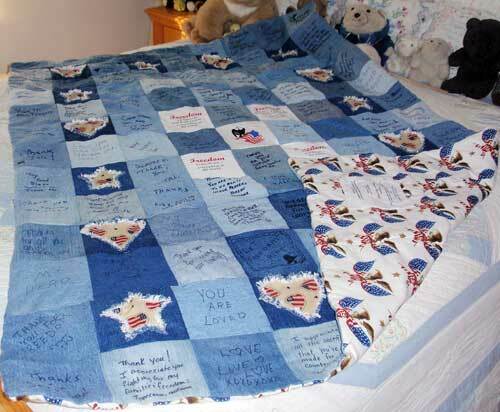 Want to help our injured and ill troops but don’t know how to sew? 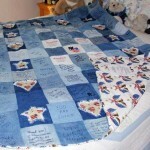 For only $150 you or your business can sponsor a beautiful Four Freedoms Gratitude Quilt. Your name and/or business name will be inscribed on a square, along with your message of encouragement and gratitude to our troops. Download this flyer with Four Freedoms Gratitude Quilt Sponsor Form instructions and an order form to send with your check.